Director Simon Kinberg has explained the long delay with Dark Phoenix. It's highly expected that this will be the final, proper X-Men movie released under the Fox regime before the Disney merger is complete. We say proper because the horror-themed spin-off The New Mutants is still on the way, but that features new characters and has been plagued with its own troubles. It may not even wind up being theatrically released. So, Dark Phoenix is, in quite a few ways (probably) going to be the swan song for this version of the franchise. The full-length X-Men trailer for the movie was recently released, which showcased a surprising character death, lots of doom, gloom and big action set pieces. Simon Kinberg was interviewed in honor of the Dark Phoenix trailer released and was asked about the delay. According to him, it's all been a matter of timing. Here's what he had to say about it. "Well it was a combination of things. One, November was always a very ambitious release date for us, given how many visual effects and how complex the visual effects in this film were going to be. When we felt like we weren't going to be able to complete the movie to the level we wanted to complete it from a visual effects standpoint, we considered moving it from November to February. Then, because of the way the international calendar was for us and how fast we could get materials to other territories, we felt like February became not just challenging, but not necessarily the best window internationally for the film. It's very close to Captain Marvel. The studio started to feel that the movie was so massive in scale that it could compete in the most competitive time for films, which is summer. So we started looking at the potential for summer dates, and June 7 stood out as a date we could have for ourselves. It's however many weeks after Avengers, so there will not have been a comic book movie for a little while, and our hope is that people will be excited about seeing another one." What Simon Kinberg, who makes his directorial debut with Dark Phoenix, doesn't mention is the extensive reshoots they did. Reshoots have become quite common these days for massive blockbusters, but it certainly contributed to the delay in this case. 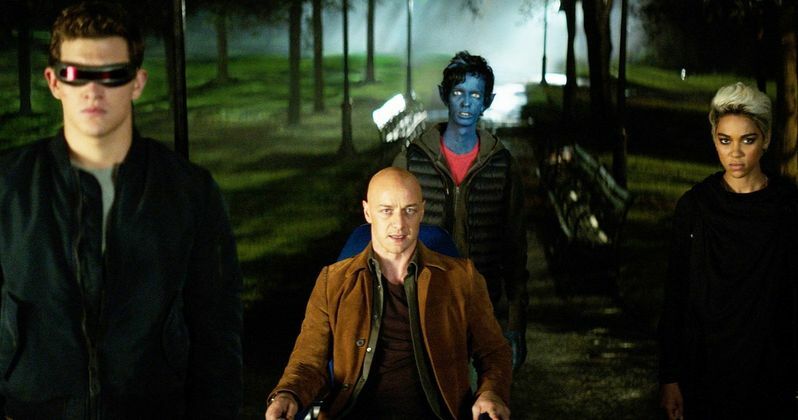 In the same interview, Kinberg, who has served as a longtime writer and producer on the X-Men movies, was asked about this possibly being the last movie in this version of the franchise. His answer, though not definitive, is telling. "I truly don't know. I haven't had formal talks with Disney. I know [Marvel Studios President] Kevin Feige very well. But we haven't had formal talks because until the merger is official, they're not allowed to have those kinds of conversations with the folks at Fox or myself. What's interesting is obviously I started this movie long before Disney purchased Fox, and I approached the movie knowing that it was the fourth movie with our First Class cast and that the Phoenix story for me is the ultimate X-Men story. I approached the movie like it was the culmination in some ways, not that there couldn't be other movies, but I did approach the movie as if, like, if you spent 20 years of living with this family, this is the movie you see the family truly tested, fall apart, and hopefully come back together. There was something about that sense of closure for the family, that sense of test, that sense of loss. It felt like not this is the end necessarily, but this is it for them. It is the climax of this franchise. When we did the hair and makeup tests for this movie, I had the Doors song 'The End' playing just to set the mood for the actors and the crew. It was this feeling of this is the climax of a lot of stories and a long relationship that we've all built up. It felt like it was time at least to give them some huge explosive story that demanded a different kind of resilience from them. I really felt on this one I couldn't imagine where else to go with these characters after what they've gone through in this movie." One way or another, this is the end for this group of mutants, based on what is being said here. The cast includes James McAvoy, Michael Fassbender, Jennifer Lawrence, Nicholas Hoult, Tye Sheridan, Alexandra Shipp, Kodi Smit-McPhee, Evan Peters and Sophie Turner, with Jessica Chastain on board as the main villain. Dark Phoenix is set to hit theaters on June 7. This news was first reported by Entertainment Weekly.